Often times, homeowners will install a brand new roof and think that’s the end of it. It isn’t. Like your car, a new roof requires consistent on-going roof maintenance to properly perform and give you the long-term value you were expecting when you bought it. We all know someone who’s driven their car with the “Check Engine” light blazing for months on end, driving along for miles and miles with seemingly no problems. Then BAM! The transmission stops shifting properly and a problem that could’ve have been avoided was left to fester, costing the owner hundreds, possibly thousands of dollars in needless out-of-pocket expenses. Your roof is no different. Loose shingles, vulnerable penetrations, and exposed flashings can all turn into much bigger problems down the line. Regular roof maintenance looks for these gremlins and takes care of them when they’re minor nuisances instead of major repairs. Picture this, you’ve found your dream job in the Bahamas and you leave next month. Or maybe you’re retiring to sunny Florida - and it’s time to sell the house. You have a Realtor perform an inspection and discover that years of neglect have left your roof in poor enough condition that it will cost you money on the sale price. Now you have to go through the whole roof replacement process again. Additionally, curb appeal is critical to the re-sale value. Loose or curled shingles or debris can have you home looking a little ‘ratty’, deterring buyers. Regular roof maintenance ensures not only the structural integrity of the roof over it’s lifetime, but will also make sure it stays looking good too! Chances are you’ll sell your home one day. 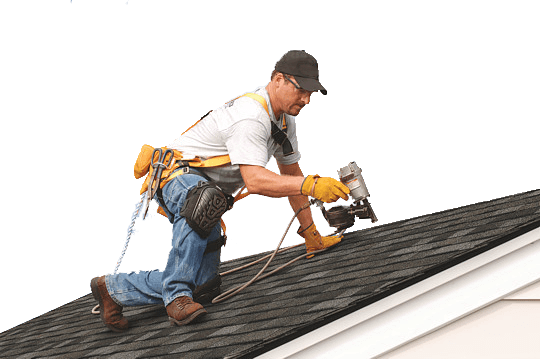 Consistent roof maintenance will ensure you maintain the overall re-sale value of the home, maybe even increasing it’s value, with the right care. Finally, and most importantly, regular roof maintenance gives you the ability to relax, knowing that what protects your most valuable asset is doing its job!